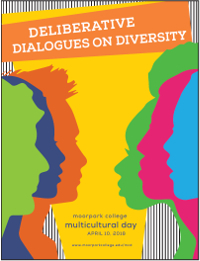 Moorpark College’s annual Multicultural Day will be held on Tuesday, April 10th from 8:30 a.m. — 2:30 p.m. on the college campus (7075 Campus Road Moorpark, California). This community event celebrates cultural diversity and is free to the public. Multicultural Day activities include memorable performances, educational presentations, music, dance, and more. “This learning event honors the diverse traditions and people who make our community strong,” shares faculty member, Ashley Vaughan. “Through powerful storytelling and theatre performances, families and friends will enjoy learning about the rich and multifaceted tapestry of American life.” The event is organized by Moorpark College’s diverse family, including faculty, staff, and students, who are proud to have hosted this event for over a quarter century. Everyone is welcome to attend this free event. Merchant booths are also available for local and international vendors interested in promoting their goods and services at student-friendly prices. For additional information, please visit http://www.moorparkcollege.edu/mcd or contact Renee Butler at (805) 553-4726, dbutler@vcccd.edu.